LGM Advisors is a Melbourne-based law firm with over 15 years of experience. We work with small, and medium sized businesses, as well as multi-national companies, and have experience with ASX (Australian Securities Exchange) listed companies. LGM Advisors provides a premium legal service to businesses, companies, individuals and entities of all sizes and strengths. Legal matters can be confusing, time consuming, and expensive if left unresolved. This is why it is so important to have access to expert legal advice when you need it and why we offer a free consultation**. LGM Advisors Melbourne Lawyer provides a premium legal service to businesses, companies, individuals and entities of all sizes and strengths. Legal matters can be confusing, time consuming, and expensive if left unresolved. This is why it is so important to have access to expert legal advice when you need it. LGM Advisors Melbourne Lawyers creates tailored legal solutions for those that need them, across a range of industries and areas of law. From contracts to intellectual property disputes, we are experts in the areas of law that matter most to businesses. At LGM Advisors Melbourne Lawyers, we have over 15 years experience providing premium legal services here in Melbourne. Our areas of expertise have grown steadily to encompass contract law, intellectual property law, employment law, and dispute resolution. 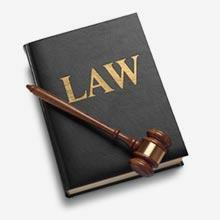 We are in no way limited to these, however, and aim to provide solutions to almost any legal problem a client may face. LGM Advisors Melbourne Lawyers has assisted major companies listed on the ASX, including through multi-million dollar litigation in the Supreme Court and High Court of Australia. We have also settled major taxation cases, including through federal litigation against the Australian Tax Office. But it is not just large businesses that we assist. LGM Advisors Melbourne Lawyers has worked with small and medium sized businesses, as well as large companies and multi-national corporations. We have also settled more private matters, such as a multi-million dollar wills dispute in the Supreme Court of Australia. By now it should be clear that LGM Advisors Melbourne Lawyers is ready to handle even the most complex legal matters. For us, a successful case is one which results in an optimal outcome for our client, whether that optimal outcome is personal, commercial, or other. Contracts form the basis of almost all legal relationships and interactions. Almost everybody enters into them in some form every day. From a transaction as simple as buying a litre of milk, to a document as complex as a consumer credit agreement, contracts exist in many different forms. This can be confusing, luckily LGM Advisors Melbourne Lawyers provides expertise advice and tailored solutions for any issues to do with contracts. If you are engaged in a contractual dispute, we are able to advise you of your rights and assist you in enforcing those rights. For those more complex or important agreements, we are able to draft a contract which is clear, concise, and satisfies the requirements of all parties. If you are unsure of your obligations or rights under a contract, or which to have a contract reviewed by professionals in contract law, don’t hesitate to contact us and speak to one of our contract lawyers. Were you dismissed from your employment in circumstances that seem unfair or unreasonable? You may have been unfairly dismissed, which means that your legal rights have been infringed. As experts in employment law, LGM Advisors Melbourne Lawyers can advise you of your workplace rights, and examine the circumstances surrounding your employment and termination to determine whether or not you should take legal action against your employer. Have you experienced bullying, harassment, or discrimination in the workplace? There are many laws which protect you from such reprehensible behaviour. Contact us to learn more about your rights to work in a healthy and safe environment. We are known for achieving successful outcomes for employment related disputes. Our clients regularly receive significant payouts thanks to our expert legal advice and representation. With employment related disputes, time is of the essence as there are timeframes that must be respected when lodging claims with the Fair Work Commission and other bodies. For this reason, please contact us as soon as possible if you have an employment related legal matter that we can assist you with. Intellectual property (also referred to as IP) refers to things created through the use of the mind which are able to be legally owned. Businesses and individuals alike can own intellectual property, the management and protection of which is vitally important to innovation, brand recognition, and reputation. LGM Advisors Melbourne Lawyers employs expert intellectual property lawyers who expertise in trademarks, patents, and copyright. If you are an inventor seeking exclusive rights to something you have created, we can assist you in applying for and enforcing a patent. We also provide trademark registration and enforcement services for businesses and traders. In Australia, copyright protection automatically applies to many types of creative works. If you believe your copyright has been infringed, contact us so we can help you resolve the issue as soon as possible. There are not many issues that cannot be settled outside of court. It is always best to try and resolve a dispute privately and independently before commencing legal proceedings. Dispute resolution in this form is often a cheaper and more efficient means of resolving legal matters between parties. LGM Advisors Melbourne Lawyers operates a distinctly effective dispute resolution service, with facilities to conduct mediation between multiple parties. We provide mediation, conciliation, and facilitation services for parties engaged in dispute over legal matters. We are able to represent you during the dispute resolution process, and can advise you of your legal rights and obligations under the circumstances. LGM Advisors Melbourne Lawyers has proven to be one of the most capable and effective law firms operating in Melbourne through its impressive record of successful settlements and high-value cases. More than that, we pride ourselves on our abilities as communicators, as facilitators, and as guides to the complex and daunting world of law. If you are a company or businesses, large or small – a creator, an inventor, a hard worker, or just another person bogged down in an unfortunate legal dispute – we are here for you. So pick up the phone today and speak to the professionals who pride themselves on your legal success. LGM Advisors Melbourne Lawyers is ready and willing to provide you with a legal solution that suits your circumstances, lifestyle, or business model. Contact LGM Advisers Melbourne Lawyers today! **We offer an initial consultation free of charge over the phone to ascertain if we are able to assist you. However, we do not provide legal advice without you having first engaged our services.